Blackadore Caye, a wild, unpopulated and unchanged island is now a very popular scenery World Wide for the vast reason that Oscar Winner Leonardo DiCarpio is dedicating his life as an environmental advocate in restoring the island's former beauty with the help of Delos and McLennan. Leonardo is an American actor and a film producer at the same time. He has begun his career doing some TV commercials and slowly making a name as he start his film career. We can say that the climax of his career is when he achieved his international fame for playing “Jack” on the Jame’s Cameron epic romance Titanic in 1997 which actually became the highest grossing film during that time. With his life in the spotlight, who would ever think that he is a very dedicated environmental advocate? No one but the world is taken by surprise as Leo is awarded in the recent World Economic Forum that took place in Davos, Switzerland for being one of the artists and cultural leaders who are helping to tackle the world’s humanization and environmental problems. Now, Leonardo’s current project is the wonderful island of Blackadore. 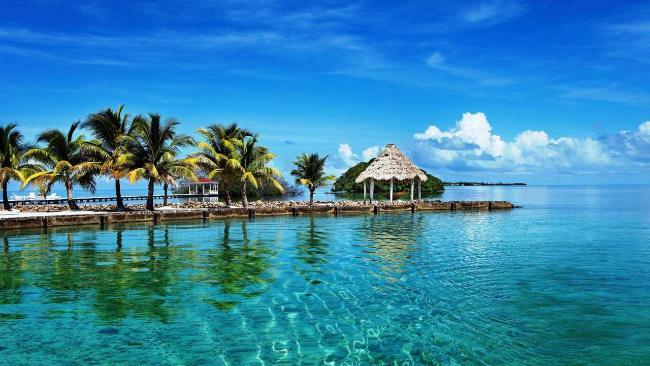 A 104 acre that is located at the west of Ambergris Caye and on the east of Belize. Leonardo has spotted the island in 2005 as he went for scuba diving in Belize. The island easily captures Leo’s attention for having this hidden beauty unseen by the public. Leonardo has decided to purchase the island not only to restore but to completely heal it from the abused it has experienced from the past years. Currently, Leo’s plan on restoring the island is in action as they plan to open it on 2018. As he stated, “This project is leading a new way in eco-tourism, development and green building and demonstrates that human development can be truly restorative and beneficial for the environment.” The new Blackadore Caye will feature numerous villas, 48 real estate homes and a private clubhouse. It is also designed with a massive platform that stretches all the way as an arc over the water that is built with artificial reefs and fish shelters located just beneath the arc. Aside from those, a nursery on the island will grow local “marine grass” to support the manatee protection area and mangrove trees will be replanted to increase the islands clean oxygen production. Although, the award-winning actor and his pal McLennan plans for a luxurious escapade, the island’s infrastructures are well designed by some of the top biologist and ecologists who are studying the whole island from top to bottom with a goal which is to support and preserve the islands habitat and biodiversity during the mass construction that will be held by the famous Delos which is owned by Mr. Scialla. Delos has been very popular since they developed the "health-centric 66 East 11th Street"
This is a five story building that is merely designed to encourage people’s good health. True to their word, some of the buildings great features include Vitamin C-infused showers, kitchen ready juicing stations and lighting solely made to provide good night sleep. Having this great team on the Blackadore restoration project is a solid proof that Leonardo, McLennan and Delos will truly push the boundaries of environmental awareness into action.